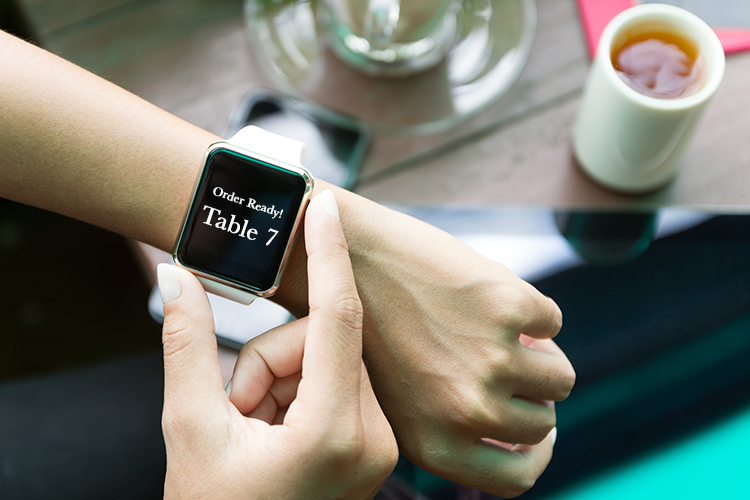 As competition in the restaurant Industry is growing at a faster rate than ever, more and more restaurants are recognizing the importance of using technology to not only keep up but also to be ahead of the game. The restaurant business has been a little bit slow in catching up and adapting to the modern technology of today unlike the lodging industry. 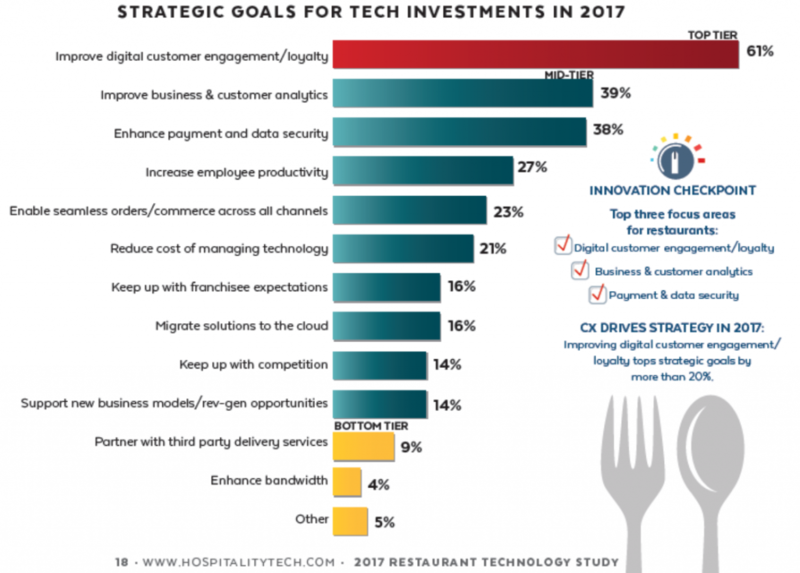 Taking a closer look at restaurant technology investment we can see from the below figure we can understand the threat of not being innovative especially in areas that influence service and engagement. 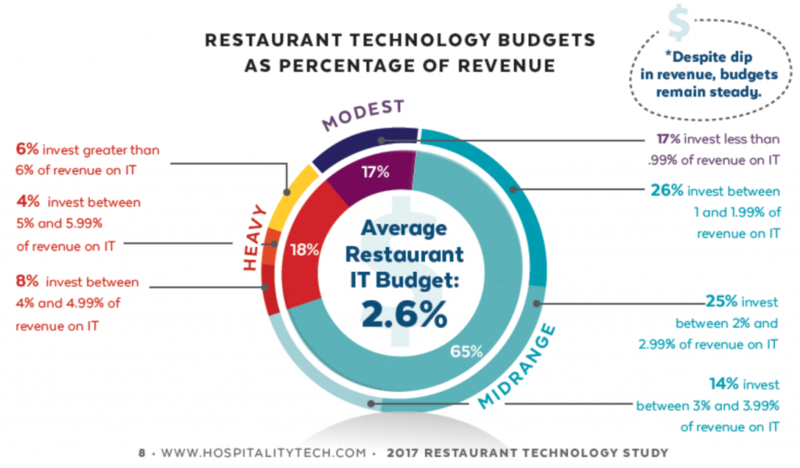 The average restaurant technology budget is only 2,6% of revenue. After a research conducted by hospitality tech in the US, we found out that 58% of restaurants are planning to increase IT budgets for 2017. We have long reached the point where consumers like expressing themselves via the brands they choose by using social media and even privately with their social group. The following areas are in need of greater focus as they related to the transformation of consumers being increasingly mobile, using messaging apps, Amazon Echo and wearables. Mediocrity will be the death of you! It is not good enough anymore to follow the trend after other business have done so. The business should be a strategic differentiator. It is risky but it can be worth it. In the past, restaurants would make their main strategy productivity. For the first time, the year 2017 is showing us that the main focus has shifted to efficiency, ranking top as the strategic goal for technology investment. In the following image we can see the strategic goals for technology investments in 2017. In conclusion, the restaurant business needs to hop on the restaurant technology horse and offer customers what they need in terms of digital experiences and guest satisfaction. Smarter business decisions need to be made and this will only be possible by having access to data and analytics. Remember, information means power!